This book sums up the majority of us “stay-at-home” dads daily to do’s. The late and ingenious writer, John Hughes gave guys like us something to chew on so to speak, in his 1983 classic movie, “Mr. Mom.” No one has written, “The operating instructions for domestic engineering,” to couple some things overlooked in this busy-busy world we live in. 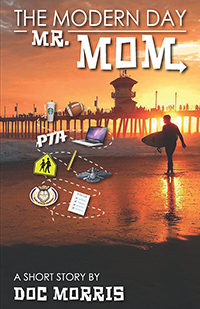 There is no “how-to” template out there for holding the title of homemaker, but some tools of trade in this book may just help those who need a little bit of encouragement in today’s multitasking society.